Do you believe all rich Greek and Romans in classical times were bad humans? Their lives, their ability to develop sciences, math, philosophy depended on slavery and exploitation. And what about the slaveholders in the 18th or 19th century, like the founding fathers of the U.S.A.? Importantly, this applies to us today. Our unwillingness to face the looming catastrophes of species extinction, climate change, soil and fresh-water losses, nitrogen pollution, and human population growth relates to this. Our comfort seems to be guaranteed only in the world that we know. And just like avoiding the clear moral issue of slavery, we are avoiding to think about the wrong of destroying our children’s planetary heritage. Slaves meant readily available labor to their owners. Energy. Assuming a human worker can generate 75 Watt per hour (Wikipedia) and assuming 13:30 h shifts, each slave might have produced roughly 1 kWh/day. An average citizen in 2013 consumed around 221 kWh/day2 in the U.S. and 49.4 kWh/day in Mexico. Most of which was provided by fossil fuels. Now, technologies, energy efficiency, and lifestyle are major factors in this energy consumption. 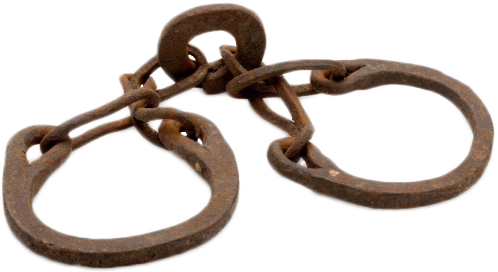 But just to frame today’s reluctance to face our moral issues with the situation of slave owners: Would we, as slaveholders have had the strength to free the 50-220 slaves per member of our household on moral grounds? Would we have been willing to consider our sin of not doing so daily? I believe many people see our current situation in such terms. And if they were right, the hope for change would indeed be in vain. However, luckily, this is not the end of the story. The real story is that we can build a new world without falling back into abject energy deprived poverty. But we can build a functioning, sustainable world! The real moral wrong is to mistrust our abilities to do this and our unwillingness to accept the risks that come with building a new world now. By procrastinating change, we are violating the rights of our children. We are sending them into a grim future, with much fewer options for peaceful transformations than we have today. We are forcing them to live in a world of limited choices, limited resources, hard work, low food security, probably a high level of violence. Should we call that world slavery? 2 Using Wikipedia and calculating 9207.8 * 8.766 / 365. PS: The above is only about the conscience inhibition that dependencies (like slavery or fossil fuels) may create in humans. But, assuming a society would actually run into a long-term energy scarcity: Would slavery be reinvented (I mean beyond the exploitative, greed-slavery that still exists on our planet)? Perhaps it is a good thing that we experience the squeeze as a peak garbage capacity rather than as a peak oil followed by acute energy scarcity! Next What is a decision?